NuHeara is an technology company that specializes in hearing aid devices. 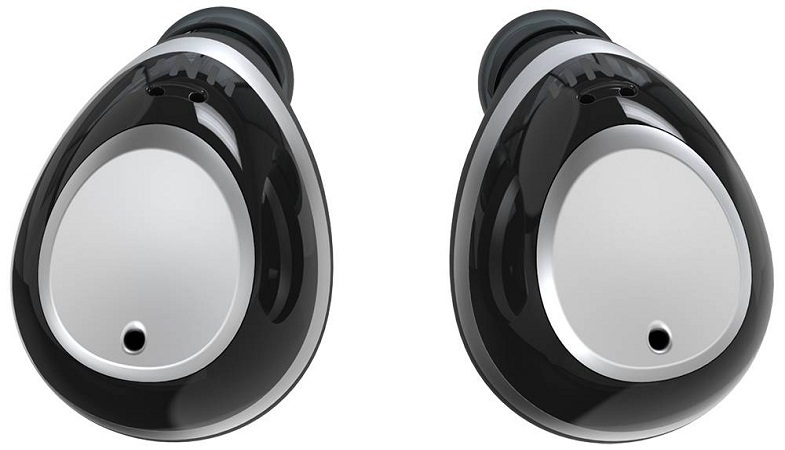 The company has perfected the IQbuds to come up with the best wireless earbuds. The innovative technology has brought over various features of the device to help those who need it. With Big Apple Buddy’s personal shopping service, you can now buy direct from the NuHeara online store anytime, anywhere. 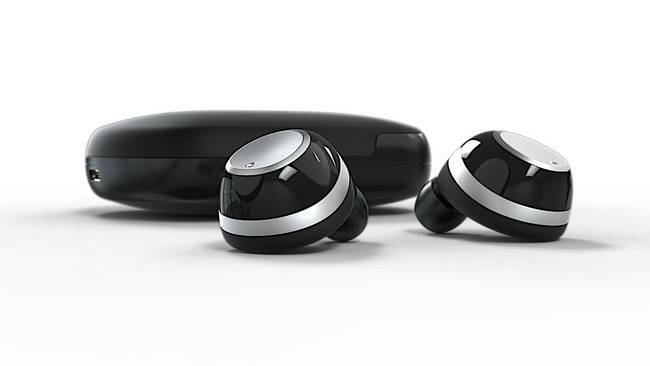 Block out everything else with the IQbuds! 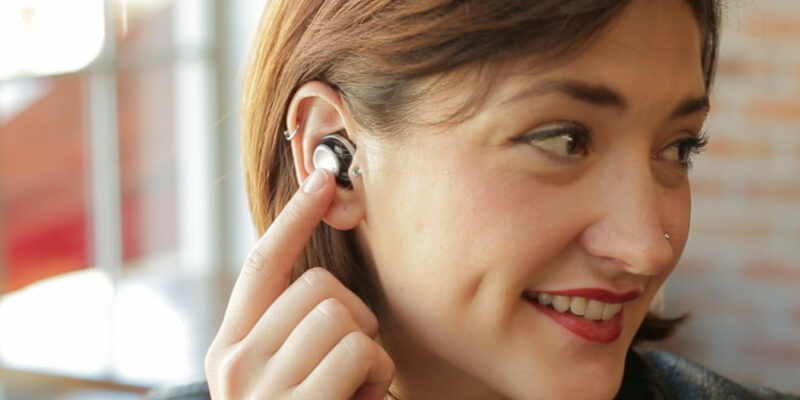 These smart earbuds from NuHeara are the future of hearing! With the Super Intelligent Noise Cancellation technology, the IQbuds allow you to tune out the noise you don't want to hear and focus on the one that you do. If you're having a conversation and there's background noise, these earbuds let you have the power to choose and listen to what you want. There's nothing more secure than the IQbuds! These earbuds guarantee a tight but comfortable fit in your ear so you can be sitting, running, or laying down and they won't come off! The IQbuds were meant to stay on - with sweat proof and water resistant features, there's no scenario where these little earphones will come off. Most importantly, they'll be with you whenever you need it most. Tired of wires? The IQbuds from NuHeara are the solution of you! You can take them to the gym and continue your workout without any problem. Don't worry about the quality either - the NuHeara technology guarantees high quality stereo sound so you can hear more clearer than ever. Now you can control the earbuds right from your smartphone with the app and personalize your hearing profile. Unfortunately, the USA NuHeara online store does not currently offer international shipping. However, Big Apple Buddy, your personal shopper, can help you buy products direct from the official USA NuHeara online store and ship them to your doorstep, no matter where you are in the world. We offer international shipping to over 110 countries including Australia, Austria, Azerbaijan, Bahrain, Belgium, British Virgin Islands, Brunei, Bulgaria, Canada, Chile, Costa Rica, Croatia, Czech Republic, Denmark, Estonia, Fiji, Finland, France, French Polynesia, Germany, Gibraltar, Greece, Greenland, Hong Kong, Hungary, Iceland, Indonesia, Ireland, Israel, Italy, Japan, Jordan, Kuwait, Latvia, Liechtenstein, Lithuania, Luxembourg, Macau, Malaysia, Maldives, Malta, Marshall Islands, Mauritius, Monaco, the Netherlands, Netherland Antilles, New Zealand, Norway, Oman, Poland, Qatar, Romania, San Marino, Saudi Arabia, Serbia and Montenegro, Seychelles, Singapore, Slovak Republic, Slovenia, Spain, South Africa, St. Lucia, Sweden, Switzerland, Taiwan, Thailand, the UAE, the UK, Vatican City, and Vietnam. If you would like to buy from the USA NuHeara online store, simply let us know which items you would like to order (by filling out the form below) and we’ll get back to you with a free international shipping quote within 24 hours!